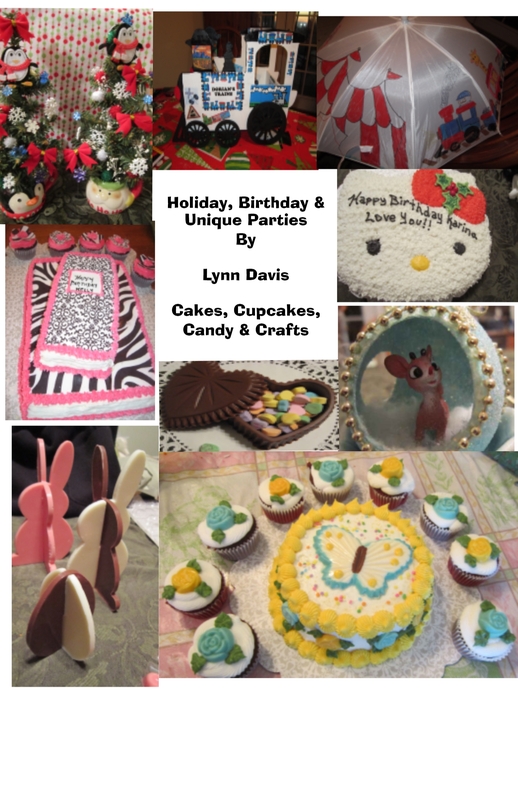 shared some of my family’s crazy party and gift ideas. This is available now as a Kindle Book on Amazon. The printed version will be available next week. This entry was posted in Cakes, Candy, Christmas, Crafts, Cupcakes & Gifts to Make, Easter, eBooks, Halloween Treats & Crafts, Holiday, Mother's Day, Recipes, Valentine's Day and tagged Amazon.com, brownie, bunny, butterfly, Cake, candy, cat pumpkin, chocolate, Christmas, Christmas Tree, Crafts, cupcake, dessert, finger puppet, Ghost, gingerbread boys, hello kitty, Holiday, Kindle, rice krispy, Sand Castle Cake, snowman, train, Valentine's Day. Bookmark the permalink.